A documentary film event was held on Wednesday, 25 April. With the motto “Ideas for Solutions,” this monthly film event aims at screening films that are relevant to the philosophy and spirit of the GRM program. That is knowledge and education strive to combine disciplines of humanities and social science with science and engineering in order to bring about new ideas, solutions, breakthroughs to existing problems and challenges of global society. Such contemporary challenges include multicultural coexistence, diversity, ending conflicts and infrastructure such as provision of electricity and safe water for drinking. The film, “The World in 2050: The Real Future of Earth,” sheds a light on the possible challenges facing human society in the next 30 years. How are we going to deal with the ever-increasing demand for energy while fossil-based energy resources are diminishing? How to fuel the future? What solutions being studied and implemented for new energy sources? Is the infrastructure of contemporary cities outdated? How is it possible to engineer viable options to tackle the world climate crisis? The film deals with these questions, providing various examples and innovative ideas. Brazil has been able to reduce dependency on fossil oil by 40% through the production of extracting natural methanol fuel from fermented sugar cane. “Brazilian sugar cane is currently the lowest cost, lowest-carbon fuel in the world available in commercial volumes.” However, more ethanol fuel from sugar means using more land. Therefore, there is a limit to how much can Brazil produce Ethanol. Besides the demand for energy, future cities will come under immense strain as more people and cars will need ever increasing need for infrastructure. After the film, participants shared a dynamic and lively discussion on various issues raised during film, screening. 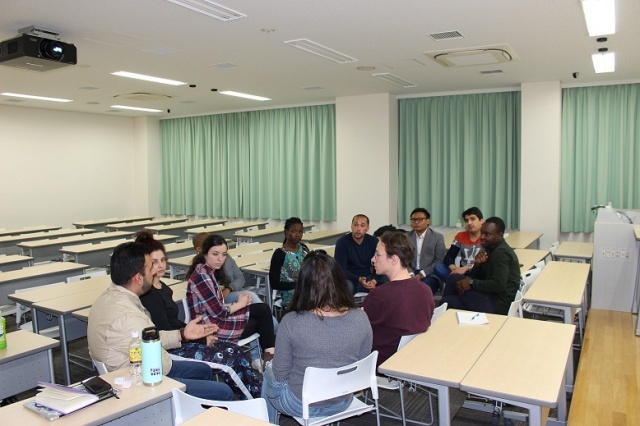 Many of the participating students come from different countries such as South Africa, Zimbabwe, the Netherland, Japan, Palestine, Afghanistan, the Philippines, and Algeria. Opinions on the film varied, expressing views from different regional aspects. It was reported in the film that the average American spends 300 hours per year waiting in traffic jams. A graduate student from the Philippines pointed out that traffic challenge appears to be a bigger problem in the city of Manila as many of its residents would have to wake up at 4:00 AM to be able to reach work by 8:00 AM. 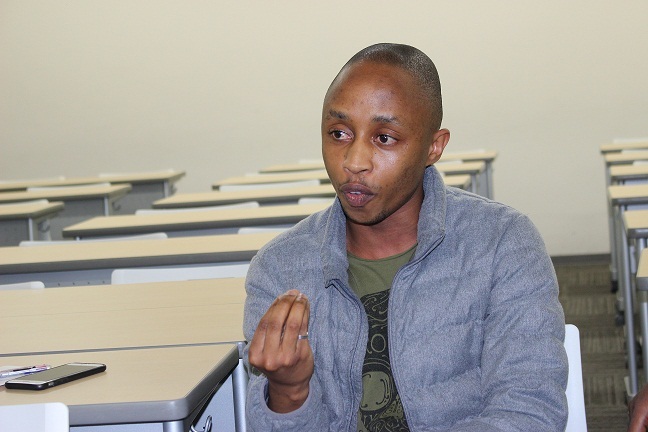 One African student explained how policy makers in Africa try to build big cities by emulating cities such as New York and Los Anglos. He stressed that designing and building future cities in Africa need to take into consideration local preferences, sensitives and culture. 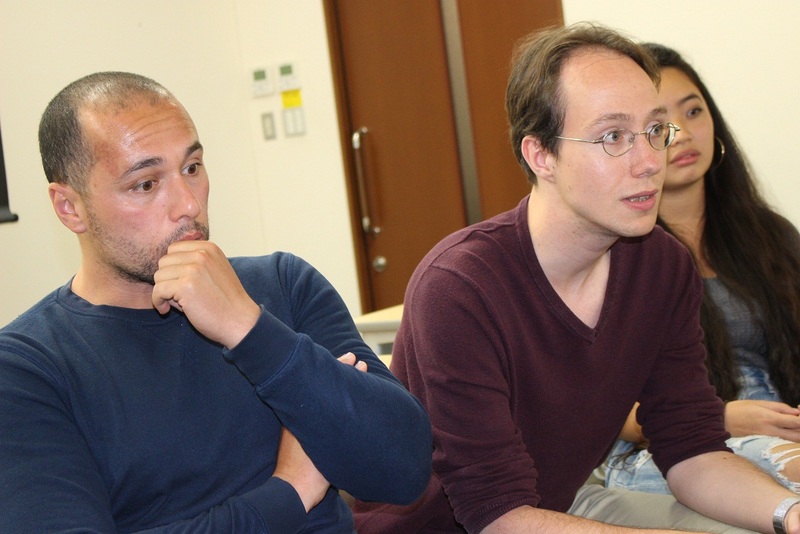 A participant from the Netherland expressed an optimistic outlook into future technology which could provide people amble time and opportunity to do the things people like to do. He elaborated that difficult tasks could be handled by technology such as the recently developed house-construction machines. These computerized machine are specialized for building houses which work in the same way as 3-D printers. However, a Palestinian student, who is studying the concept of “Utopia” from a literally aspect, warned of the prevailing perception of technology being able to solve many of society problems. Modern social media, as she pointed an example, has undermined to a certain extent the cohesion of community and family. All in all, the discussion was friendly and lively. It was the first time for some of the participants to meet each other. 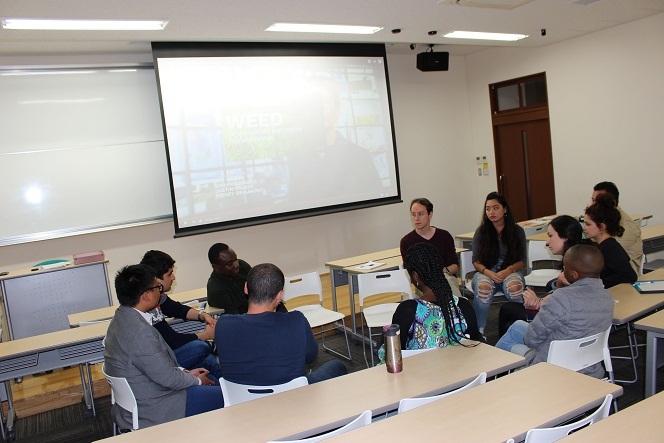 The film and the discussion presented a pleasant and truly great opportunity for new students to meet each other, make friends, enjoy watching the film and share views on common concerns and issues.